Each year, the Outstanding Faculty Award Committee calls on the student body, staff, and faculty for nominations of faculty members whose teaching, scholarship, and service to the university and professional community are deemed to be exemplary. It celebrates outstanding performance in all areas of academic pursuit and acknowledges special achievement in the endeavor of teaching. The past five winners of the Outstanding Faculty Award comprise the current selection committee. Over the last few years, recipients have received news of their award in the form of a surprise classroom visit by the award committee, along with President Robert Henry and Provost Kent Buchanan. The award recipient receives a stipend and recognition at undergraduate commencement, and an invitation is extended to the recipient to deliver the commencement address at graduate commencement. The Center for Excellence in Teaching and Learning recognizes OCU faculty members' outstanding achievements in specific areas of academic work. The Center has developed five awards which are presented at a luncheon each spring. Nominations for the Outstanding Faculty Award must be received by the Outstanding Faculty Award Selection Committee no later than December 1. CETL award nominations must be received no later than January 25. Teaching awards have been presented to OCU faculty since 1988. The Fred Jones Foundation funded the awards from 1988 to 1990, and the Sears Roebuck Foundation funded awards in 1990 and 1991. The General Board of Higher Education and Ministry of the United Methodist Church expressed support and appreciation of teaching at OCU through their Exemplary Teacher Awards from 1992 through 2002, and continued support in conjunction with the Outstanding Faculty Award from 2003 to the present. Melissa Hakman is an associate professor and chairperson of the Department of Psychology and director of the Child Advocacy Studies Training program. It was her curiosity of “what makes people tick” combined with her desire to help others that led her to pursue a career as a clinical psychologist. Hakman received her PhD in Psychology from Oklahoma State University. She completed her predoctoral internship at the Virginia Treatment Center for Children through the Virginia Commonwealth University Medical Center (formerly Medical College of Virginia). She began her teaching career at the University of Richmond before joining the faculty at Western Kentucky University, where her teaching excellence was first recognized when she received the Outstanding Teaching Award in Psychology. This native Oklahoman then returned home where she has been sharing her love of psychology with students at OCU since 2008. Regardless of the course, Hakman perceives that her role as an educator is to challenge students to expand their horizons by exploring new information, testing their assumptions, learning how to think critically, and applying information learned in class to their lives outside the university. To do so, she utilizes a project-based approach to instruction where students explore real life situations and challenges. She presents these situations and challenges as live demonstrations in class often with the help of actors, real life cases, controversial topics activities, and experiential labs completed outside the classroom. Students increase their content knowledge, learn how to ask questions, develop solutions, and work effectively with others, all while learning more about themselves. Hakman is responsible for the creation of the Child Advocacy Studies Training (CAST) program at OCU, the only program of its kind in Oklahoma. This program provides students with specialized training in multidisciplinary responses to child abuse and neglect to help prevent child maltreatment cases from being overlooked or mishandled. It brings real life experiences to the classroom setting, allowing students to develop specific skills to respond and advocate for children and families within various agencies and systems (mental health, health care, criminal justice, social services). Hakman is also responsible for the expansion of the undergraduate psychology internship program that allows students to gain real life experience working in hospitals, agencies, and other businesses. She, with the help of her colleagues in the psychology department, are responsible for the creation of a new doctoral program in clinical psychology slated to begin in Fall 2018. This program will prepare students to provide evidence based psychological services to address a range of client mental health needs including in rural settings, within primary care settings, and with underserved populations. Hakman’s research examines child and adolescent behavior, adolescent nonsuicidal self-injury, and parent-child interactions in traditional and nontraditional families, including families in which child maltreatment has occurred. Her research is published in various journals including Infant Child Development and Child Abuse and Neglect. She regularly presents her research at regional and national conferences such as the Association for Behavioral Cognitive Therapies (ABCT), National Association of School Psychologists (NASP), and Southwestern Psychological Association (SWPA). As a licensed clinical psychologist, Hakman provides part-time outpatient psychotherapy services to children, adolescents, and their families, and conducts comprehensive psychological evaluations through the Department of Developmental and Behavioral Pediatrics at the University of Oklahoma Health Sciences Center (OUHSC). 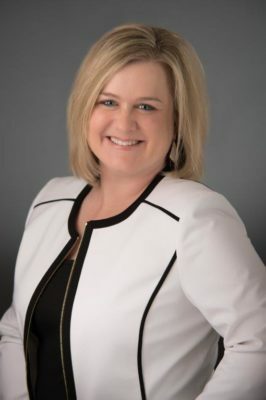 She is routinely invited to provide continuing education workshops across the state on mental health topics for professionals working in various capacities in behavioral health care for agencies such as the Oklahoma Department of Mental Health and Substance Abuse Services and the Oklahoma Juvenile Training Program. Overall, Hakman perceives herself as being lucky in finding a career that allows her to touch the lives of so many different people, whether that be preparing students for future work, helping individuals overcome psychological difficulties, or inspiring others to find their own talent to live life to its fullest. She resides in Mustang, OK with her husband Greg.